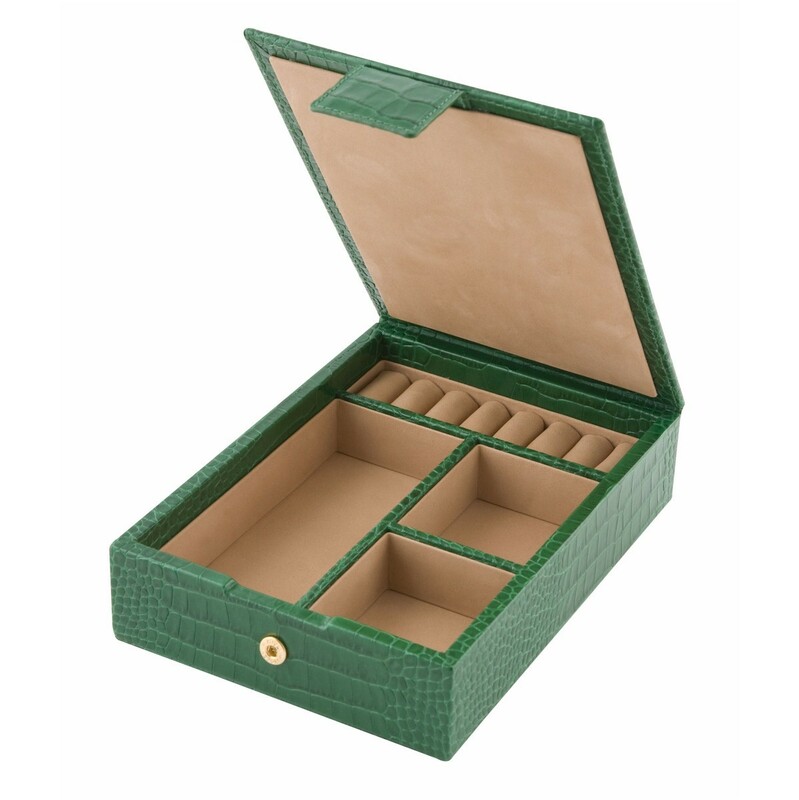 Travel Jewellery box by Smythson of bondstreet . Its the perfect travel companion or a beautiful addition to the dressing table. Handcrafted and lined in soft nubuck, this travel jewellery tray is designed to fit in a hotel safety box. 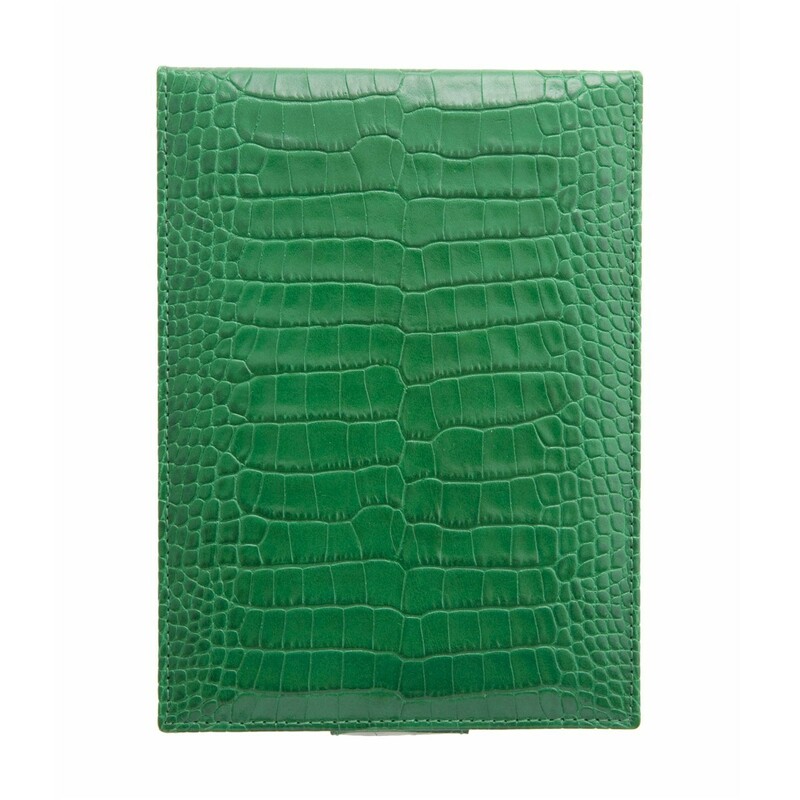 Made in Peridot croc-print calfskin leather .